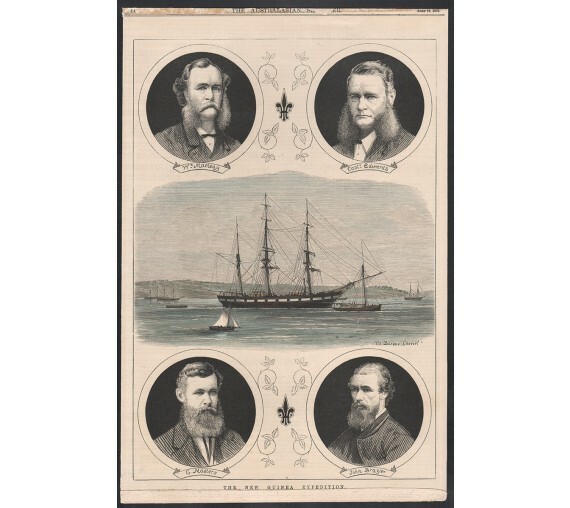 Depicts in the centre, 'The Barque Cheviot', and portraits of William Macleay, Captain Edwards, George Masters and John Brazier. 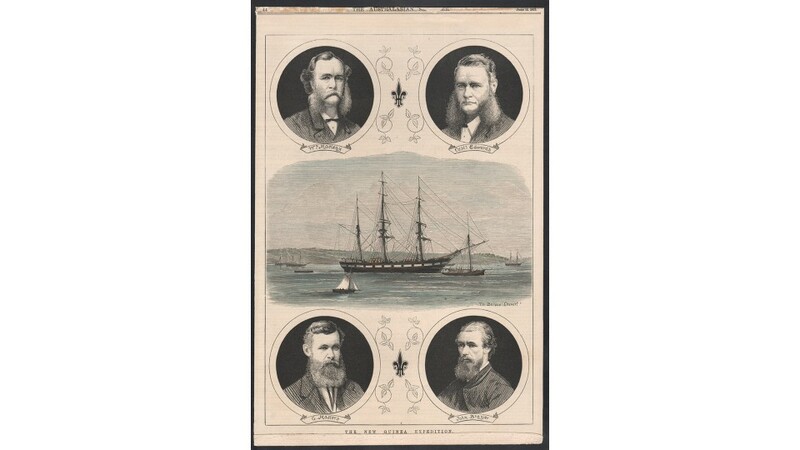 The Chevert expedition to New Guinea was the first Australian scientific mission to a foreign country. 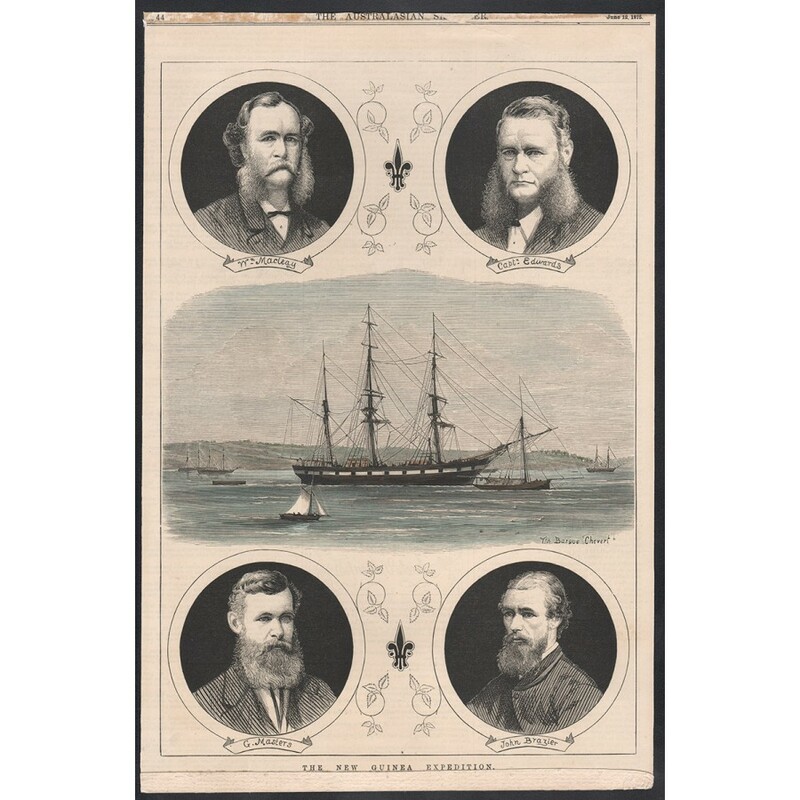 Funded and organised by William John Macleay in 1875, the expedition aimed to collect and document the natural environment of New Guinea. From 'The Australasian Sketcher'. CONDITION : Laid down. Trimmed. Some discolouration and loss of text at the top of the sheet. Strip of paper stuck across bottom of the sheet.